Today’s episode began when I heard Justin LoFranco, the founder of morning chalk up talk about their organization’s guiding statement that “a giving community is a growing community”. That phrase has really stuck with me. [02:22] Justin background in politics. [04:37] Giving the gift of connection to others. [05:27] One of the things I love about the Morning Chalk Up. [07:32] Why a CrossFit affiliate doesn’t belong to the gym, it belongs to a person. [08:34] Why this affiliate exists. [09:30] How things were breaking at CrossFit Undisclosed. [10:54] HowCrossFit Undisclosed is Sabastien’s home away from home. [12:06] Measures he took to makes sure it continued to sustain itself. [12:48] Some hoops he had to jump through. [14:09] A conversation they had about the situation. Welcome back to the Beyond Macros Podcast. We are THE sustainable transformation nutrition coaches and our show will help you on your journey to a transformation that lasts with episodes about nutrition and the all important art of inner work. If you want to join a community of people who are also committed to creating a sustainable transformation, and even if you just want to discuss this show, we created a free group within the Beyond Macros Online Coaching community for you. You can join in on monthly challenges like this month’s Core Language upgrade with last week’s guest Mark England, you can share recipe ideas- and I already got the party started there, and you can get support with your top nutrition challenges from the community. 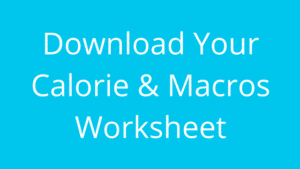 If you downloaded our free calorie and macro calculator and haven’t already received your invitation, email [email protected] and we’ll get you set up. If you want to take the support a step further, we also just announced our premium online coaching option. In addition to everything included in our online coaching program, this membership option gets you detailed monthly food journal reviews and feedback, access to our tracking software with personalized habit programming from your dedicated coach, and unlimited macro revisions as your goals & body change. For $10 off that membership per month for life, use code BMPODCAST at checkout. 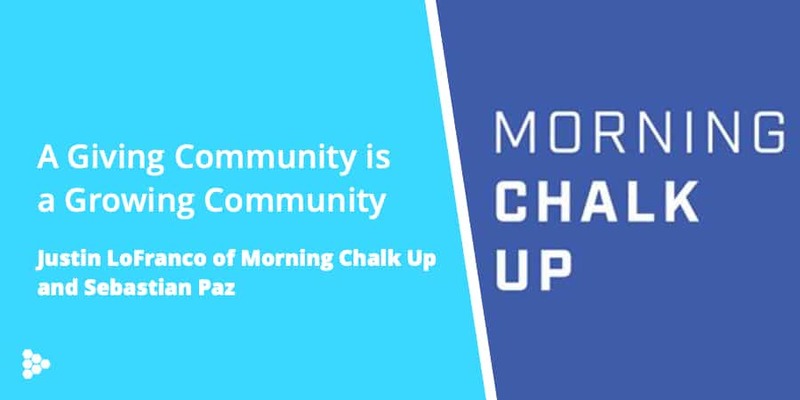 Speaking of communities, the story for today’s episode began when I heard Justin LoFranco, the founder of morning chalk up talk about their organizaton’s guiding statement that “a giving community is a growing community”. That phrase has really stuck with me. What also struck me about that phrase is it is something Justin started to realize while he was working in politics. If you grew up in the US, you know that we just started what has been dubbed “the season of giving”. And although the context of giving during this season has come to mean giving material possessions, there are plenty more ways we can give. We can give financial support, we can give congratulations and celebrate our community members, and we can give the gift of connection to others. sort of a first principle and I think very much it's still in effect today. One of the things I love about the morning chalk up is that they give the gift of celebrating the accomplishments of all it’s community members, and not just celebrating crossfit celebrities. 3 - 6:08-7:07 you read the morning track of on a daily basis, you'll you'll see that we celebrate the little successes as much as a big successes. We're all on a fitness journey of our own. And, and we'll see, you know, first muscle up PR is in there, 100 pound clean prs and then you'll see 350 pound pound PR next next one another and it's it's more likely that we are writing a major feature story about somebody who you've never heard of before, then we are writing about somebody who's a notable games athlete or I notable personality and fitness community. the great things that they're doing that it will grow and not just grow for us, it'll grow for them. One of the ways I realized the idea that a giving community is a growing community manifests is in the generative nature some gifts have. Gifts beget gifts because people tend to pay an unexpected gift forward. And this makes the whole community a better place. One story Justin told me that perfectly highlights this is the story of CrossFit Undisclosed. Crossfit Undisclosed is a CrossFit affiliate on the joint Air base Al Udeid in Qatar. The nature of being on an airbase makes Undisclosed a unique affiliate, right down to the fact that the actual affiliation has to regularly change hands. A CrossFit affiliate doesn’t belong to the gym, it belongs to a person. Here’s Sebastian Paz to explain the situation. 4 - Sebastian on the difficulty w/ Affiliation 6:05-6:48 So there's a lot of thousands of people coming and going, you know, and so, really the, the, I guess the ownership of the affiliate changes hands, you know, if not yearly, you know, a lot more than that. So, there's always at least a level one that is in charge. And so they, you know, one person is in charge, and then whenever that person is supposed to come back stateside, you know, their deployment is over, they, you know, physically and legally hand that off to whoever's there that they trust, or that they know, to carry on the torch, so to speak. 5 - Sebastian about its a non-profit 2:07-2:51 So it's a, it's a different process to become an affiliate as it normally is over here stateside. And things were breaking at CrossFit Undisclosed. we had a bunch of just like, storage boxes. And, and the rig was obviously exposed to the sun and the rain and all that. And it wasn’t just that the equipment was falling apart, but they lacked the equipment to do most programs, and struggled to even participate in the open. They had to go out and find a way to borrow the equipment if they wanted to do the workouts! Sebastian told me that even though things were falling apart at Undisclosed, it was his home away from home, and he wasn’t alone in feeling that way. find the gym and try to get plugged in, you know, I know that being deployed, I mean, away from my family. And, you know, being in the Middle East, like, I didn't want to deal too much with, like, emotions, or being away from from home. And I was there throughout the holidays. So like, Thanksgiving, Christmas, and, you know, my birthday, and all kinds of like, family birthday. So I wanted to get to get plugged into a community, which is the beautiful thing about CrossFit, that the community is like, nothing, nothing else out there. And so it was meaningful in the way that I found the family found a place that, you know, to call home away from home, and just get plugged in. Sebastian recognized that because of the nature of the situation with affiliation, lack of funds, and coaches and members turning over every 9-12 months that someone needed to take initiative to make sure home away from home could continue to sustain itself. The way that Sebastian was able to give back was by holding a competition called the Deed throwdown and a fundraiser to make it possible to improve the facility. But of course, being on a military base meant there were some hoops to jump through just to make this happen. I can't even remember wasn't something it wasn't palette, but something else that they were using, and, and literally, that you could see, like duct tape on the rigging. And I'm like, This is crazy. by midday that day, and they raised on as they should have been, there was an opportunity to do it kept going for a couple more weeks, I think total now they may have raised me somewhere between five and six grand total. 12c - Sebastian on MCU role 11:31-11:45 Justin came in clutch. And he really helped us to connect to not only for the, you know, the community to, to know about us and support us, but also to connect with others, like companies and, you know, just get more support period. The support Sebastian received also came from the local community at Al Udeid. As I mentioned at the beginning of this story, gifts beget gifts, beget gifts. Because of the fundraiser CrossFit Undisclosed is now able to reach more people on the base. wall balls, newer wall balls, and then wall balls that were also lower and wait for people to scale. And again, you know, learn those techniques. They were also able to participate in the Open without having to go off base to find equipment! And the torch has been passed on. It was cool for me to see that CrossFit Undisclosed just had their second Deed throwdown fundraiser, and the stage has been set for them to be able to continue to serve more people on the base safely and effectively. So I want to ask you- what can you do during this season of giving to help your community? And how can you give in a generative way? And to stay up to date with CrossFit Undisclosed, and to find ways that you can give to that community, you can find them at crossfitundisclosed.us or follow them on social media by searching for CrossFit undisclosed. I hope you enjoyed this episode, and are inspired to find a way that you can give. Whether it be financial, by celebrating somebody who needs to be uplifted, by connecting with people in your community, or in any way that feels right for you. And if you are interested in learning about the gift economy- check out Charles Eisenstein’s book Sacred Economics.